Join the most effective social innovation community nationwide. Online Community Membership connects you with a national network of leaders, innovators and collaborators. Gain access to exclusive tools, a braintrust of peers, and exclusive, hard to reach audiences. Not everyone needs to rent workspace. Maybe you have already created the home office of your dreams. Maybe you work on your own projects during downtime at your day job. Maybe you have your laptop with you as you bounce around the country (or the planet). But everyone does need a community. And at the Centre for Social Innovation we have built one of the best that there is. Since 2004, we have become the home-base — both online and offline — for thousands of smart, warm, and principled people. Be a part of it! Let us connect you with a national network of leaders, innovators and collaborators. You’ll gain access to exclusive tools, a braintrust of peers, and exclusive, hard-to-reach audiences. Invitations to workshops and exclusive events. Access to financial and social capital. Discounts to local and national businesses. It is possible to get all of this without renting workspace, by becoming an Online Community Member. 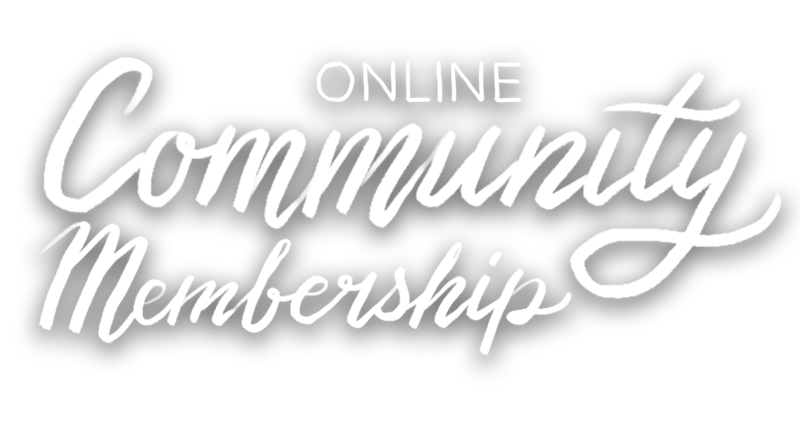 Online Community Membership is just $36/month! Not ready to apply now? Sign up here & we’ll contact you with more info! Always Be In The Know: Get access to exclusive CSI Member-only events, webinars, and live-streams. Amplify Your Impact: Promote your events, find the best candidates for jobs, and profile your accomplishments by tapping into CSI’s audiences totalling 100, 000 people. Connect with Peers: Instantly connect with 2,500+ members to find the jobs, sector events, networks, and resources you need! Discounts: Save 20% on on CSI Toronto Meeting Rooms and Event Spaces, savings from CSI partners such as the VIA Rail, UPS, Hot Docs Cinema. Network With Experts: Free consultations with experts in law, design, business and more. Funding Opportunities: Get on the radar of funders, and being kept in the loop about all sorts of funding opportunities, access social and financial capital. Get all of this and more for just $36/month. What are the differences between Online Community Membership and the other workspace memberships? Online Community Membership provides online access to our community of collaborators while you work from anywhere on planet Earth—anywhere with an internet connection! Online Community Members can instantly connect with all of our members to ask questions, post events, share news and publish job postings. If you seek a wider audience, these can be pulled to our public website and onto our external newsletter! Online Community Members are also welcome to attend select free CSI events, such as: member summits and networking events; as well as have access to member discounts for a host of other events. If you need a great meeting space in Toronto, Online Community Members are entitled to a 20% discount when booking CSI meeting rooms. Alternatively, workspace memberships (Hot Desk, Clusters, Private Desk, Private Office), in addition to above, have access to locked member-only workspace and lounge space, mail services, printing / scanning / fax machines, free coffee, and associated free meeting room hours. Can I work out of the CSI lounge spaces as an Online Community Member? Online Community Membership provides online access to our community of collaborators. Workspace (even in lounges) is not part of the offering of an Online Community Membership. Our many other memberships, such as Hot Desk, Private Desk, and Private Office packages, do provide workspace and lounge space. As an Online Community Member, you receive a 20% discount to Meeting Rooms if you would like to book a room to work from or to host a meeting. To book a meeting room, you can check the room availability here, and then call the appropriate location to book the room for you. When booking be sure to give YOUR NAME for the booking profile to take advantage of the discount. Can I get Online Community Membership for others in my organization? Online Community Membership is for individuals and all members of your organization are welcome to sign-up individually. Each member has an individual and unique profile associated with their membership to add a human touch to connecting with our community. You may choose to request that your organization pay for your membership, and you can arrange for this by emailing communitymembership@socialinnovation.ca. If your organization is interested in providing access to 20+ members, please be in touch with us at communitymembership@socialinnovation.ca to discuss the right plan for you! I already held a CSI Membership in the past and would like to return as an Online Community Member! How do I reactivate my past membership and profile? We’re happy to welcome you back! Simply email communitymembership@socialinnovation.ca to request reactivation and we will be in touch. My question was not answered here. Who can I contact to get an answer? Our Community Membership Manager would be happy to help in answering any questions you may still have! You can contact us at communitymembership@socialinnovation.ca. Or you can sign up to get more info here and we’ll contact you!